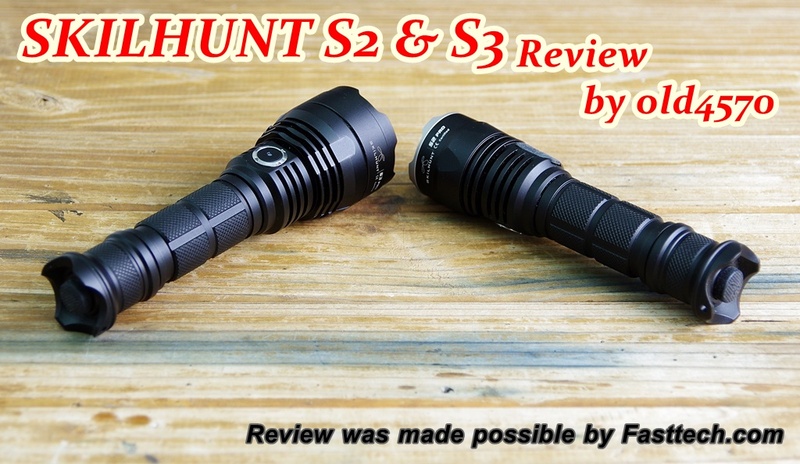 I was sent the Skilhunt S2 and S3 for review by fasttech.com and I must say both lights are very interesting . I do like the single 18650 format a lot and both the S2 and S3 are some what throwy with a good amount of spill to make both lights very useful for more than showing off . A very interesting feature is the ability to chose the amount of light from each light level or mode . 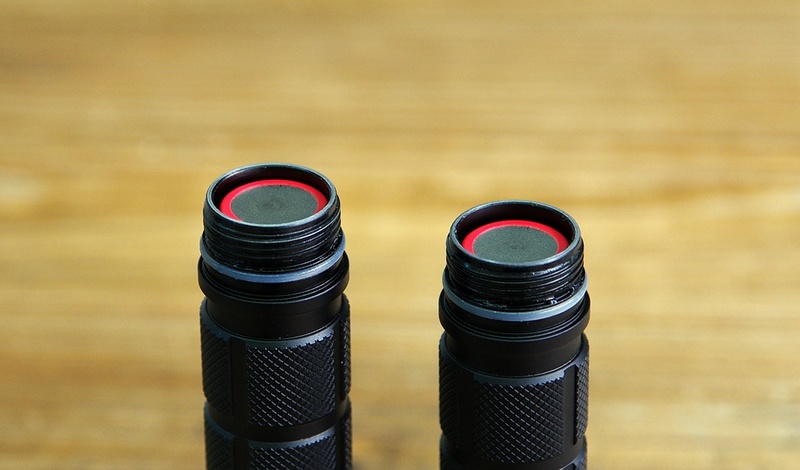 What you are offered is 4 light modes - LOW / MEDIUM / HIGH / and Turbo ( with 3 hidden blinky modes ) . Each of those 4 light modes has 2 light levels to chose from . Also the S2 and S3 have USB battery charging built in , making charging possible anywhere you have access to a USB power source . 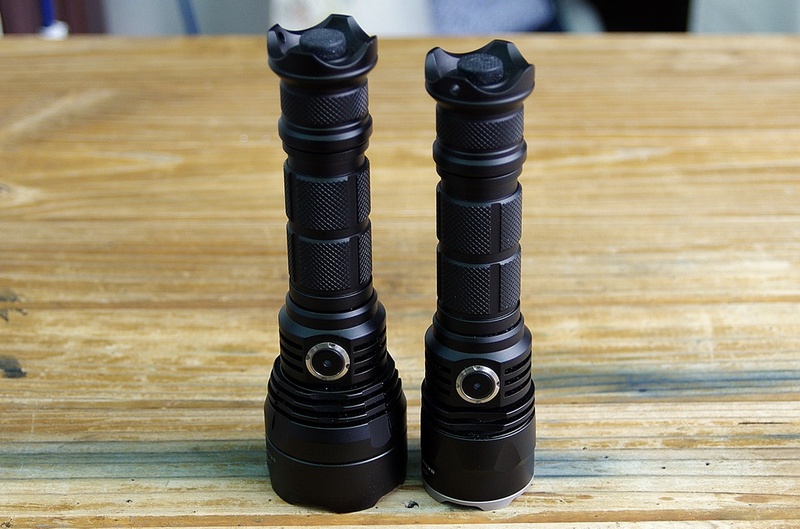 Now both the S2 and S3 were very consistent in Low / Medium and High modes , but once you got into Turbo then the quality of the 18650 you used came into play ( or became noticeable ) . 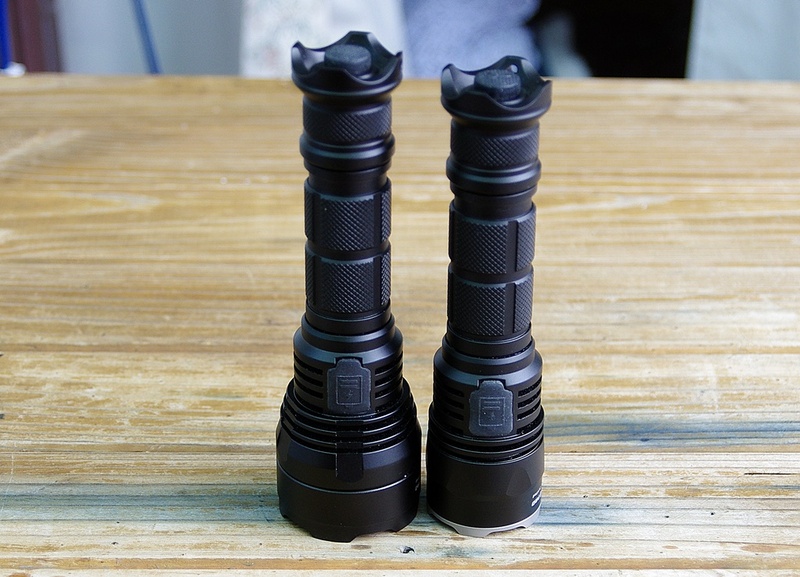 With the S2 I saw output from 928 Lumens to 980 Lumens ( VTC4 ) . 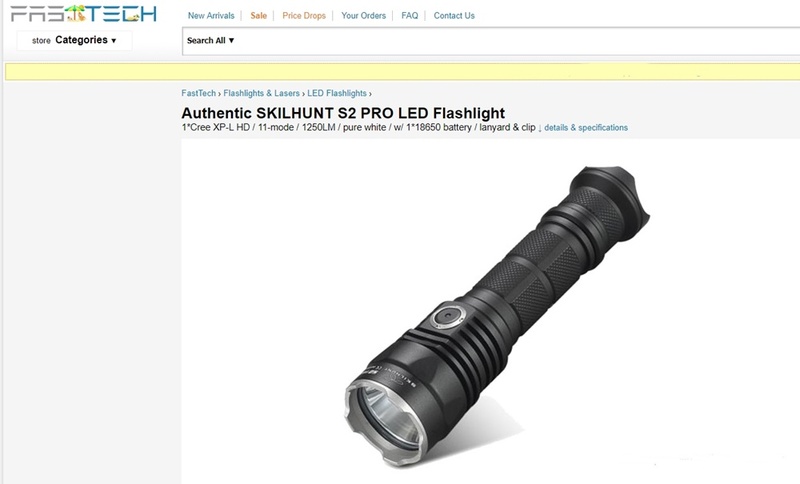 With the S3 I saw output from 1280 Lumens to around 1340 Lumens . None of the batteries used were cheap budget brands ( LG 3500 - Panasonic 3400 - VTC4 ) , and the best performance came from the VTC4 . Once again this is where both Skilhunt's become interesting . 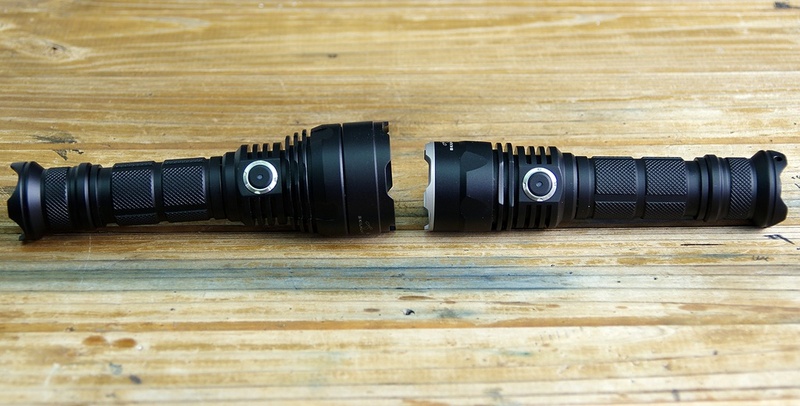 On and off - There are two ways to turn the S2 and S3 , on and off . The first way is through the tail clicky . ( Forward Clicky ) The tail clicky does not change modes ( light levels ) , it performs 3 functions . It turns the lights on and off as well offering momentary on . The other way to turn the light on and off is VIA the side switch . Turn on the light ( tail clicky ) - To turn the light off VIA the side switch - hold the side switch own till the light turns off ( takes about 2 seconds if that ) - Then to turn the light back on , simply click the side switch . Changing Modes ( Light levels ) - This is easy , just a quick click of the side switch , the light has mode memory so will restart in the Mode ( Light level ) you turned the light off in . Blinky Modes - To enter the blinky modes you need to do a nice clean and quick triple press of the side switch . To change modes in the blink level you need to double click ! , a single click will bring you back to the normal mode ( light level ) from which you entered the blinky modes . Here is an interesting side note , the blinky level has mode memory as well . Also if you turn the light off VIA the tail clicky in the blinky mode of your choice , the light will turn back on in that blinky mode . But if you turn the light off VIA the side switch , when you turn the light back on it will be in normal mode ( light levels ) . There are 3 blinky modes - In order - Slow Strobe ( or fast beacon ) - Beacon - and SOS . USB Recharging - To USB recharge the S2 and S3 - The light needs to be on ( Tail clicky activated ) - Plug in the provided USB cable to the USB port in the light and to the USB source . When the S2 or S3 detects the USB connection it will enter the charging mode . Battery Level - When you turn on the S2 or S3 there is a light that comes on in the middle of the side switch to indicate battery level . A constant blue light means you have 80% or better , a flashing blue light means you have between 50% and 80% . A constant RED light means 50% to 20% and a flashing red light means you have less than 20% remaining . Mode Light Levels - ( Setting the light level for each mode ) .. Easy enough , what ever mode you are in ( Low - medium - high - turbo ) just give the side switch a double click and the light level will change higher or lower depending on what it originally was . Yeah , that's how easy it . I did not report any current measurements as they don't come close to matching output , most likely due to some sort of safety feature that limits current when something NQR is detected ( In this case my Multi Meter ) . Neither light came very close to advertised output , though both came very close to what I would call expected output ( compared to other similar lights ) . 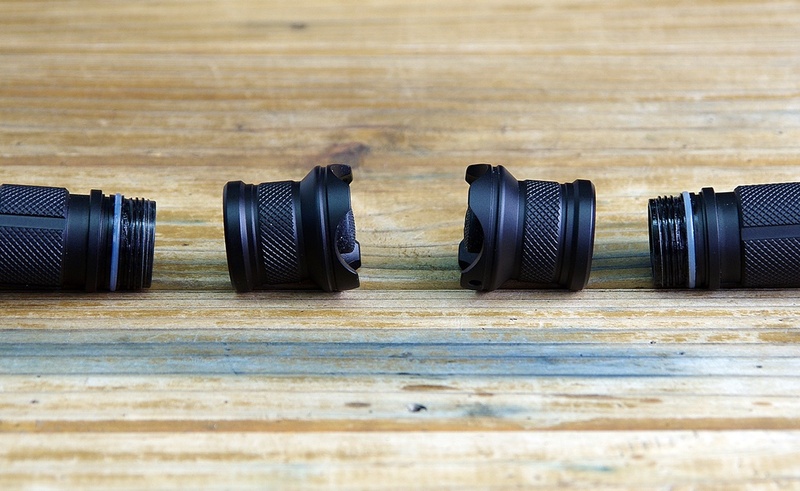 Both the S2 and S3 are extremely well made and I simply can not fault the build quality , fit or finish on either light . There is plenty of room for protected batteries and batteries that are a little wider than normal . The internal USB charging does terminate some what early , especially the S3 . This is a little bit of a non issue for me as I normally use a dedicated battery charger for my batteries , but if out camping then you do have the option to USB charge VIA the lights internal charger . 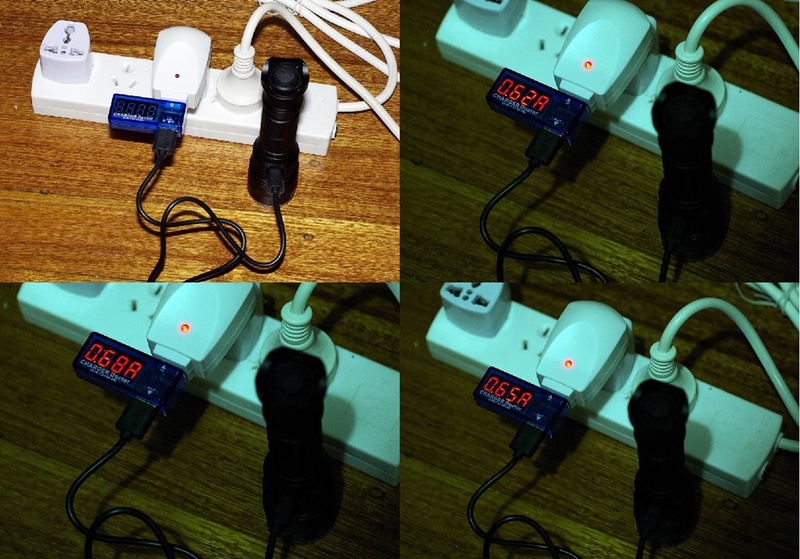 For some one like a security guard that might do night patrols , USB charging could be a life saver . 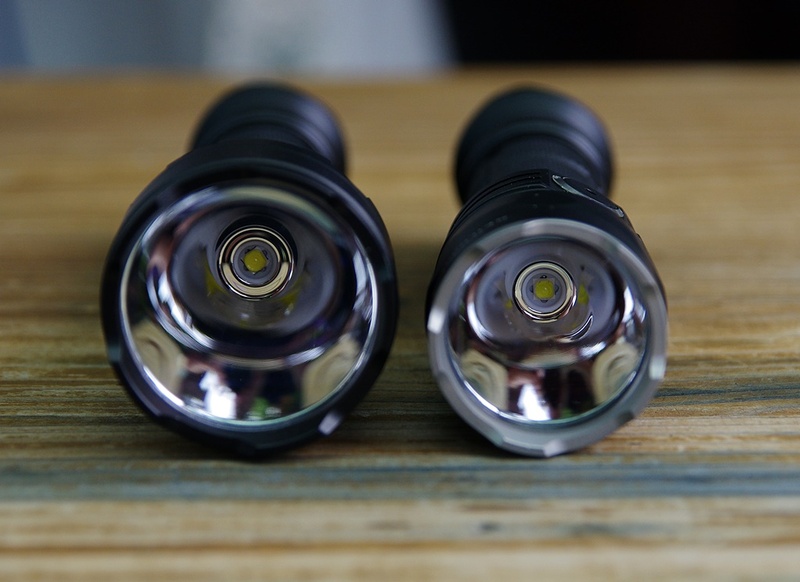 In actual use I found very little practical difference , it was very hard to tell the S2 apart from the S3 by just looking at the light emitted . They feel the same in the hand , they operate the same way and if not for the larger head on the S3 . The S3 is harder to get in and out of pockets if you plan to carry , even jacket pockets . Both lights come nicely packaged in cardboard boxes with a cover sleeve . Accessories include a clip , lanyard , rubber boot for the tail clicky and a spare O ring for the tailcap . There is a included instruction manual with tiny writing I needed a magnifying glass for ( I don't think I have 20/20 anymore ) . Do I have to score the lights ? S2 - 9/10 Did not come very close to claimed output , USB charging was close ..
S3 - 8.5/10 Again did not come very close to claimed output and the USB termination was early ..
USB termination - Well for lights with internal charging I would really like to see a terminating voltage of 4.15 volts . For safety and just a figure that should be relatively easy to achieve , with what I would consider a decent quality battery . 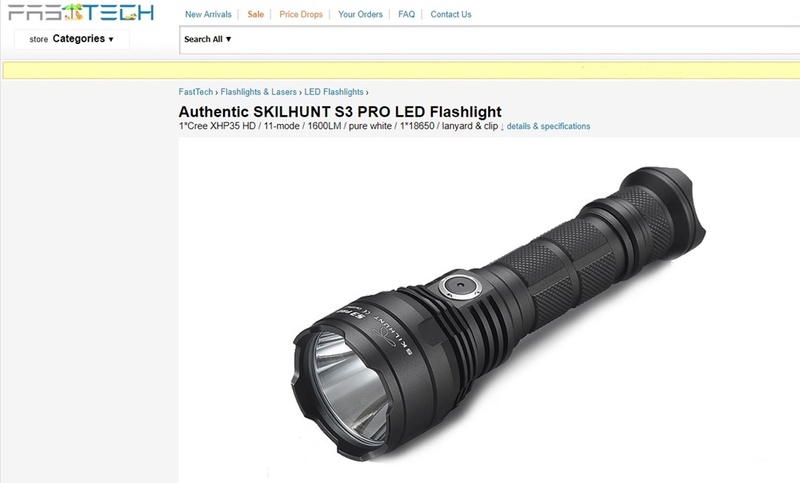 A flashlight with internal charging , I really don't see the need to push for 4.2 volts , isn't that what dedicated chargers are for .